The all-new StarTimer Pilot Chronograph Big Date is actually designed for serious pilots who fly in fast jets and who make split second decisions about the limits to which they can push their planes and themselves. 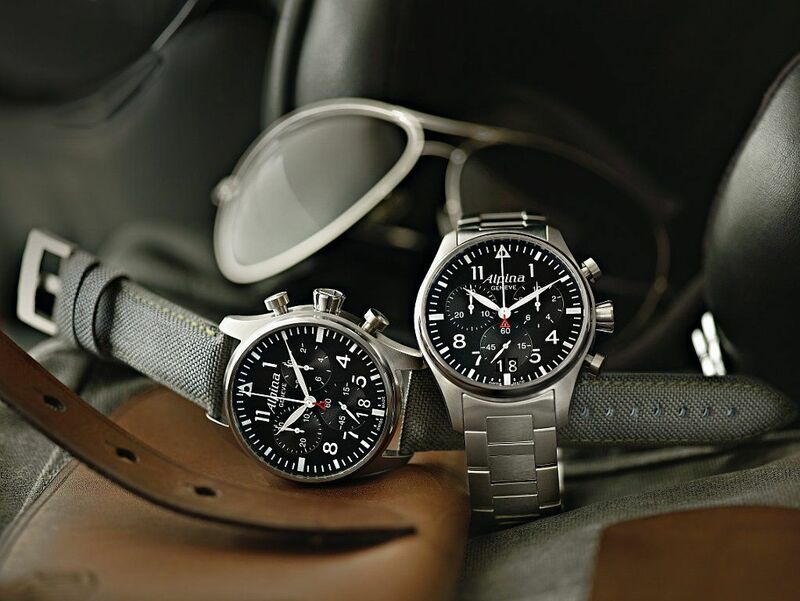 The StarTimer Pilot Chrono Big Date features the perfectly readable and essential aviation dials of the Alpina Startimer range, which are appreciated by pilots worldwide. Every element of functionality built into these watches is designed to provide the essential information to a pilot, the moment he needs it. Every model in the new range is driven by the AL-372 quartz chronograph movement. Other features include an extra-wide 44 mm-diameter, two-part stainless steel case, a scratchproof sapphire crystal with anti-reflective coating, big date and small second displays at the 6 o’clock position. 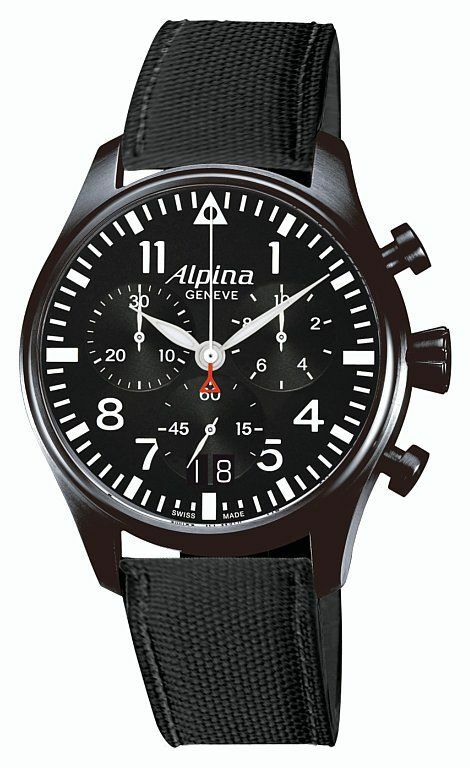 The unmistakable red Alpina triangle signature “the Alpiner” is in its traditional position at the base of the second hand, and for activities other than flying, these watches are water resistant to 100 metres. All watches from the collection come with a fabric “Cordura” strap with a tongue buckle in different colours matching the dial and case, or a stainless steel bracelet. Alpina is the official watch of the Cessna Aircraft Corporation, and to honour this partner and aircraft manufacturing pioneer, Alpina has engraved a Cessna Citation on the case-back of the StarTimer Pilot Chrono Big Date. The StarTimer Pilot Big Date collection comes with an unrivalled battery life of 48 months. The first three watches in the new range, the B4S6, the BRS6B and the B4FBS6, all feature a striking black dial with extra-large contrasting white numerals. The indexes are Superluminova coated for optimum visibility in poor lighting conditions.You can choose from either a subtle grey fabric strap with a tongue buckle, or a fashionable metal bracelet. Another variation sees the watch offered with a black PVD case and matching black fabric strap. The next model on offer is the GR4FBS6. This watch features a black PVD case, a military green 60 minutes dial and contrasting beige-coloured, luminous minute indexes and hands. To complete the new look, a sand-coloured fabric strap offers the perfect complement to the beige hands and indexes.